In less than a week, it will be time for the fantastic match between Ajax and Real Madrid at Amsterdam Arena in Amsterdam. Are you going to be there in person? The people of Amsterdam weren’t to happy about getting Real Madrid as their opponent in the first stage of the knockout part of the Champions League in 2018-19. 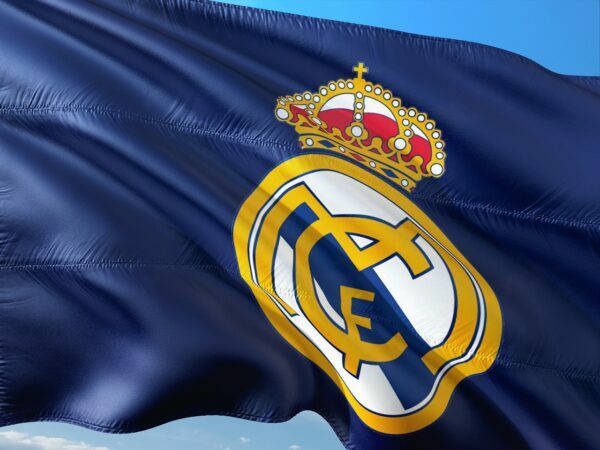 But, with an Ajax team in great shape and with lots of good results behind them, what better team to beat than Real Madrid? The first match between the teams will be played at Amsterdam Arena on February 12th and it will start around 21.00. It will be an amazing game, and we truly cheer for Ajax to beat the crap out of the team from Madrid. But, it isn’t going to be easy as Real Madrid has been playing fairly well recently, and they just played 1-1 against Barcelona at Nou Camp. In addition, Karim Benzema seems to get a hold of hitting the net, so the team from Amsterdam might want to watch especially out for him. The fantastic venue in Amsterdam has space for more than 50,000 people, and it will for sure be packed on February 13th. Did you know that this amazing stadium actually has a retractable roof, and it takes around 20 minutes to open or to close it. That is kind of cool, isn’t it? It was the first stadium in Europe to have such a roof above their stadium. None of the players at the Real Madrid team now were present at the stadium in 1998, but back then, Real Madrid won a Champions League final against Juventus at this very stadium (1-0). Where to watch Ajax – Real Madrid? You can watch the match at the actual stadium (instructions on how to get there will come later). But, if you cannot be there at the stadium, the match will be shown at all the sports pubs and restaurants around town. If you’d rather just sit on your own and watch it on your computer or tablet, you can read more about how and where to stream Ajax – Real Madrid online in this article. How to get to Amsterdam Arena? Are you going to the match between Ajax and Real Madrid, but wonder how you can actually get to Amsterdam Arena? It is very easy! The fastest way to get to the stadium is by taking a train from Amsterdam Central to the station named Bijlmer ArenA. This is a ride that takes around 15 minutes, and you will be just by the stadium as you leave the train. If you want to use the metro instead, travel with metro 54 from the center of Amsterdam to the stop with the same name, and you will get to the stadium quickly (though a little bit slower than you would taking the train). The exact address of the venue is ArenA Boulevard 1, 1101 AX Amsterdam. Go for it Dusan Tadic, Klaas Jan Huntelaar, Hakim Ziyech, Donny van de Beek and Kasper Dolberg! These are the guys who have scored most goals for Ajax so far this season. Dusan Tadic has a total of 22 goals so far, while Huntelaar has scored 15 goals, and Ziyech following with 14 goals. That is a lot of goals, meaning that Ajax is a team that should be watched out for. As we wrote earlier, Karim Benzema is the Real Madrid player with most goals so far this season (18 in total). Behind him comes Gareth Bale (11), and then the defender Sergio Ramos (10).